Power Electronics Lab - Self contained & easy to operate. Functional blocks indicated on board mimic. Solder less breadboard..
We are leading manufacturers, suppliers & exporters of Power Electronics Lab Trainer for Power Electronics Teaching Labs. 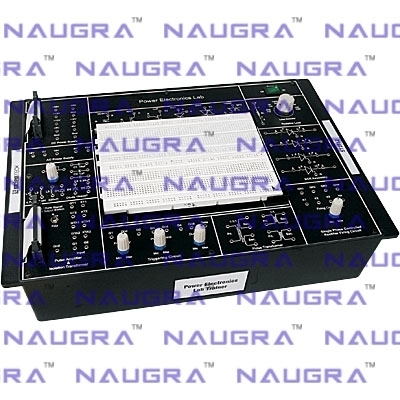 Contact us to get high quality designed Power Electronics Lab Trainer for Power Electronics Teaching Labs for schools, colleges, universities, research labs, laboratories and various industries. We accept bulk orders for government tenders in all countries around the globe. For similar products visit at main page of Power Electronics Trainers.